Nice was the first city I ever visited in Europe (not including the Frankfurt airport). My (then boyfriend, now) husband spent two weeks there after we graduated college and vowed to go back one day. Sure enough...we did! 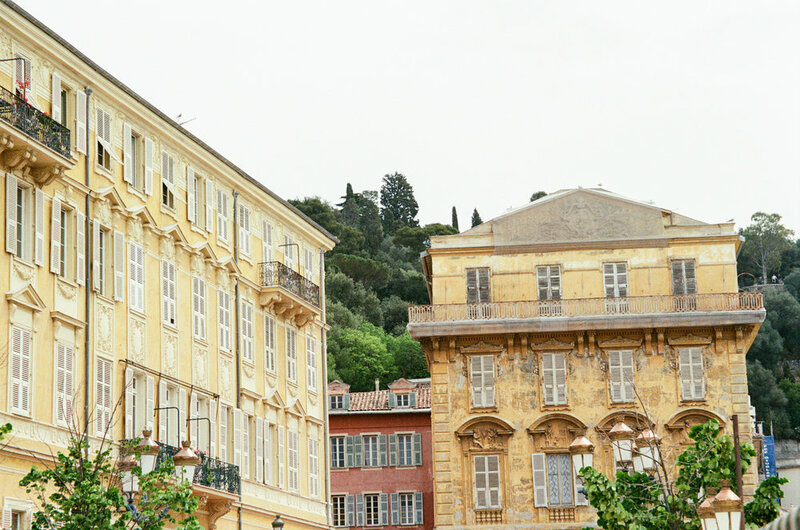 Our favorite thing to do in Nice is just walk and relax. It's a perfect place spend a few days at the tail end of a hustle and bustle vacation. 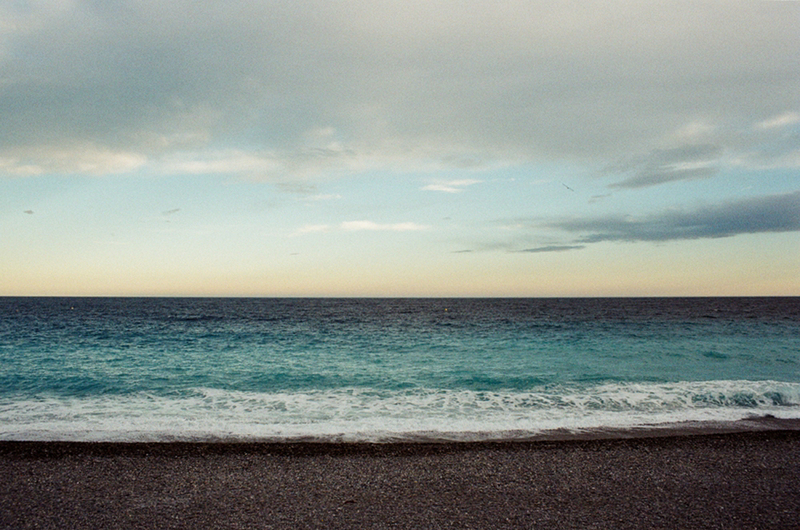 Both times we visited Nice we stayed on or right off the Promenade, which I highly recommend. 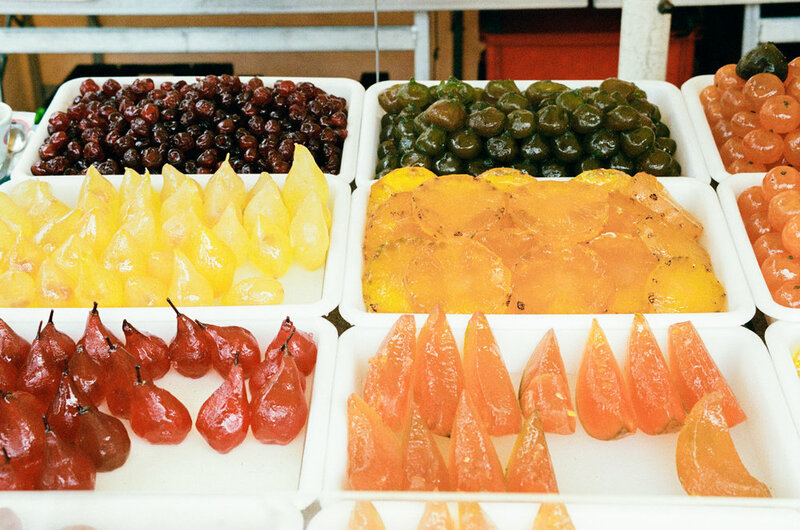 Nice is a much slower pace than Paris, in a good way. It's not a tiny town, but it feel like a happy little beach town - which it is. Staying right in the mix of it is just perfect. You walk out and you're right there, in the middle of the energy. Old Town is a must and it's walking distance from the Promenade. We stumbled upon the farmers market while we were there and it was awesome. So many flowers and fruits and handmade items. There is just something about visiting a farmers market abroad; you get to experience a small taste of what it's truly like to live locally. Everything is grown and handmade by the locals. The market is open Tuesday-Sunday 06:00-17:30; closed all day Monday. It's not Nice. It's not even France. But it's glamorous! We dream of going to the Monaco Grand Prix one day, but for now, we settle for living like James Bond (would during the day, we assume). Seriously though, it's about a 20 minute train ride from Nice. You can go fancy and do the Casino at night or just go to Cafe Paris for drinks and lunch. Either way, try to make it there. It's beautiful. We don't have definite plans to visit in next summer, but we are going to try to stay for a few nights while in Provence. Nice is beautiful city with beautiful, friendly people. It's one of my favorites.